Charles Frank Jr., 89, Hunter, Decoy Carver, a New Orleans executive who was passionate about traveling the world in pursuit of animals to shoot, fish and photograph, died Tuesday at Touro Infirmary. He was 89. In addition to hunting and fishing, Mr. Frank was an accomplished writer and photographer. He was a member of the Outdoor Writers Association, the Southeast Outdoor Press and the Louisiana Outdoor Writers Association. Mr. Frank also was an authority on the carving and painting of duck decoys. His work won awards, and he was one of the first three decoy artists to be designated a Louisiana master craftsman. He collected about 1,500 decoys, which he donated to the Bluebonnet Nature Center in Baton Rouge. He wrote six books about outdoor pursuits, including three on duck decoys and the people who carve them. 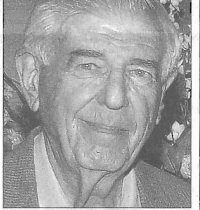 In 2001, the South Louisiana Wood Carvers recognized Mr. Frank for his lifetime contributions to the preservation of the state’s wetland heritage. For 31 years, he was head of the Louisiana Wildfowl Carvers and Collectors Guild. He also was on the boards of Touro Infirmary and Temple Sinai. During World War II, Mr. Frank served 31 months on the battleship New Jersey. He remained on active duty in the naval reserves for 26 years, retiring as a Captain. His last posting was as chief staff officer for the Surface Command of the 8th Naval District. Under his command, his unit won the James Forrestal Memorial Trophy for the best Reserve unit in the United States. Survivors include his wife, Jean Hirsch Frank; a daughter, Cynthia “India” Frank; and a grandchild. Tharp-Sontheimer-Tharp Funeral Home is in charge of the arrangements.